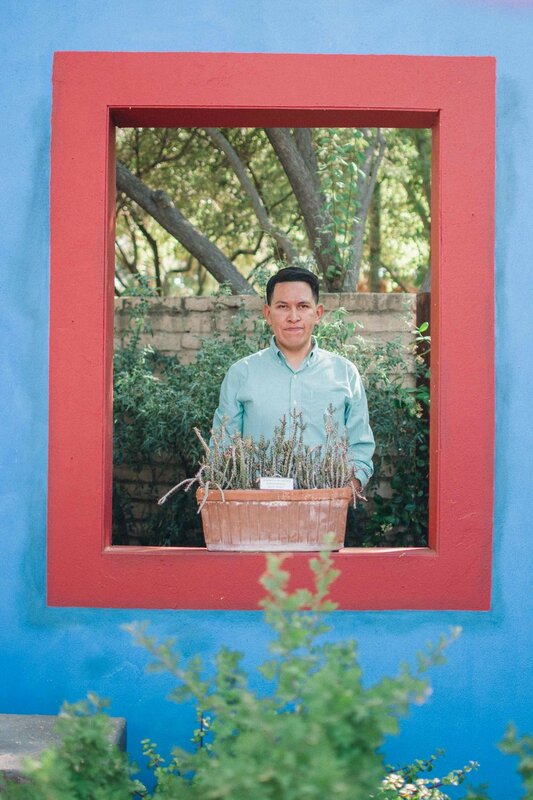 Before it got too hot, Erick and I had the opportunity to visit the Tucson Botanical Gardens to see the featured Frida Kahlo exhibit. 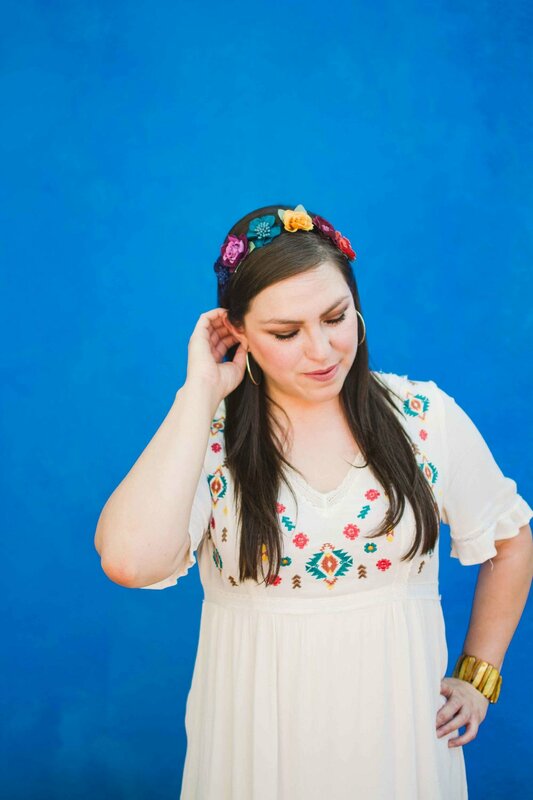 We're both big fans of her work, and we wanted to learn more about her life and her art. Having already been to the original Casa Azul in Coyoacán, Mexico, Erick had great things to say about the replica. Originally coming the New York Botanical Garden’s wildly successful exhibit: Frida Kahlo: Art, Garden, Life, the exhibit looks at Frida Kahlo’s work, life and influence explained from a plant and nature perspective. 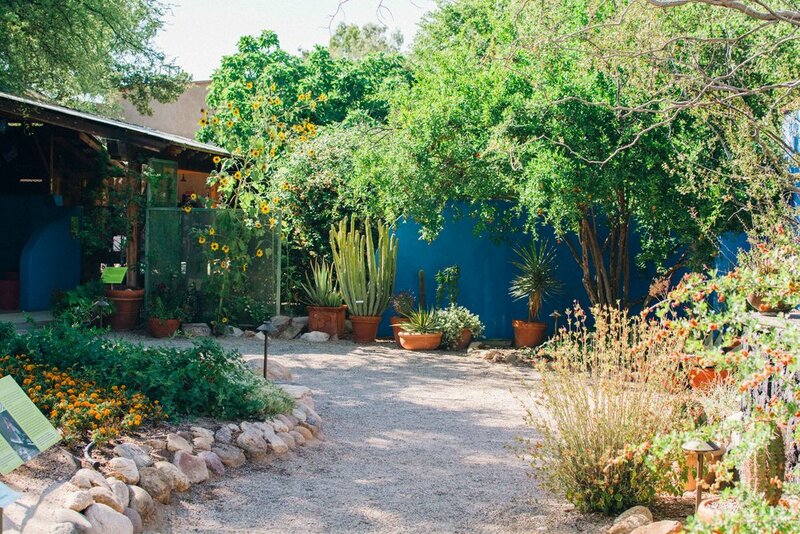 Tucson Botanical Gardens had the honor of being the only institution to show the Casa Azul replica, designed by the New York Botanical Garden. I am personally attracted to Frida Kahlo's work because of what it represents. She was a strong woman who was not afraid of showing who she truly was, even in her deepest moments of pain. Frida was also influenced by indigenous Mexican culture which is evident in her colors and use of symbolism, elements which I became very intrigued about after starting my identity soul searching. 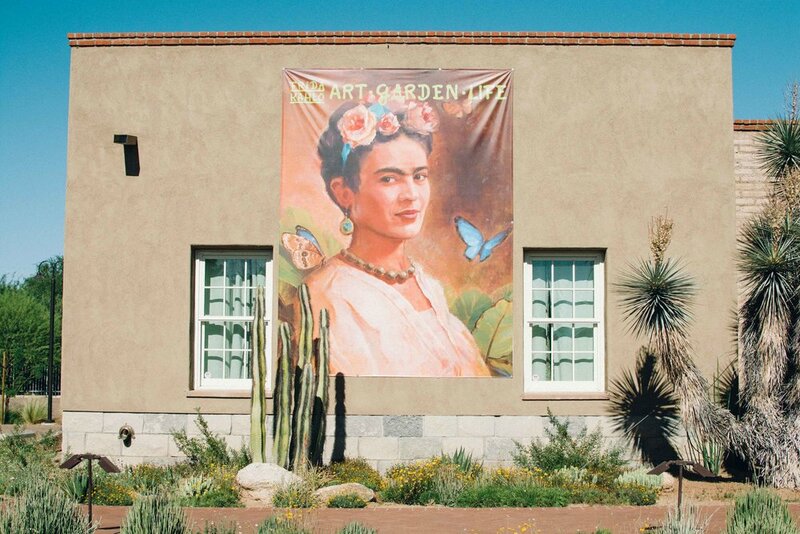 The centerpiece of the exhibit is the gardens that Frida Kahlo had in her Mexico City home. The pyramid in the center of the Casa Azul replica is a Meso-American piece that Diego Rivera, Frida's husband, built in the courtyard of the house. Marigolds are a characteristic flower that was grown in Frida's garden, along with many other plants that were an important source of inspiration to her. 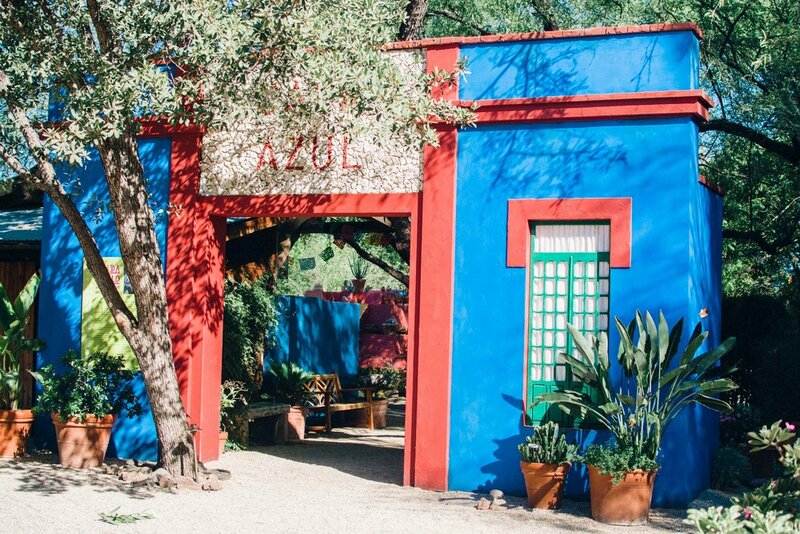 Erick says that when he first visited the original Casa Azul, there was a feeling of sorrow lingering in the air. At the now museum, you can see Frida's dresses, her prosthetic leg, and many of her belongings. Frida's life was an existence of suffering, physically and emotionally, and her paintings were the representation of her deepest feelings. Because Erick is a deep feeler, looking at the replica brought sad memories to him. 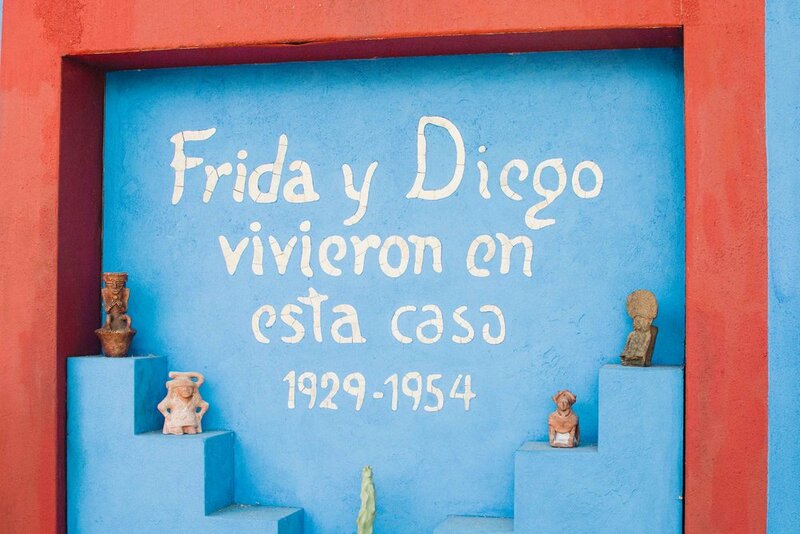 He remembered the letters that Frida and Diego wrote to each other, the bed in which she was carried to her painting exhibition, and the painting of the empty womb. To offset the sad feelings, we took a stroll around the rest of the gardens, including the butterfly section. If you would like to see the Frida exhibit, there's still a chance. 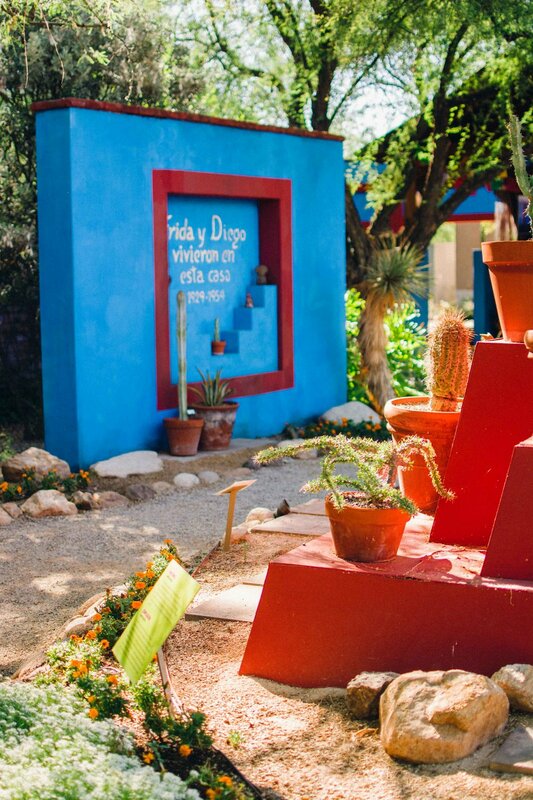 You have until the end of August to see the replica of the Casa Azul, learn more about Frida Kahlo's life, art and garden. This is a one-of-a-kind exhibit, so don't miss it!